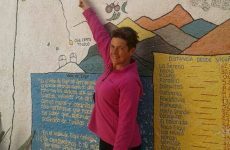 Sarah is actually training hard in Chilean shores and hopes to crossing the Beagle Channel in Patagonia and to participate on several competitions during next year. First, I would like to tell us when did you start swimming and how was your transition from pool to open waters. "I moved to New Zealand 13 years ago and I'm proud to say that I have become a New Zealand Citizen. I have been a swimmer all my life, 6 years ago I became interested in ocean swimming. 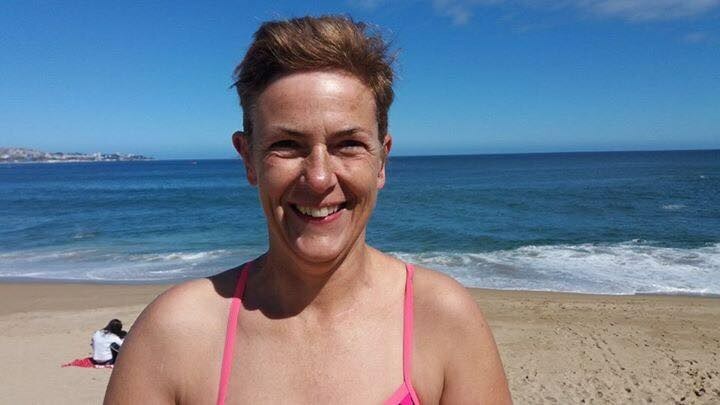 My transition into Open Water wasn't too bad, each summer we have an event called 'The Beach Series 'which is held every tuesday at the beginning of november, so I and entered into the 1 km swim, which was quite challenging as there were about 300 swimmers, swimming at the same time doing different distances. After that I got hooked, brought a wetsuit and started swimming at least 3 or 4 times a week, in the pool and ocean. I entered my first long distance swim 2.9km "King of the Bays" which is one of the swims done by New Zealand open water series. This year I completed my first marathon swim 10 km. I started transitioning into my costume and swimming by the begining of October 2016 and the NZ waters start warming up by november by an average of 17ºC and then by february up to 20ºC. Last year I continued to swim all through the winter with the aim to get used to cold water swimming (done in my wetsuit). Since I've come to Chile I have transitioned fully into my costume, which is all about the mindset, and keeping calm which helps with the breathing. My body is acclimatizing and my distances are increasing the temperatures are about 12ºC in Chilean waters. 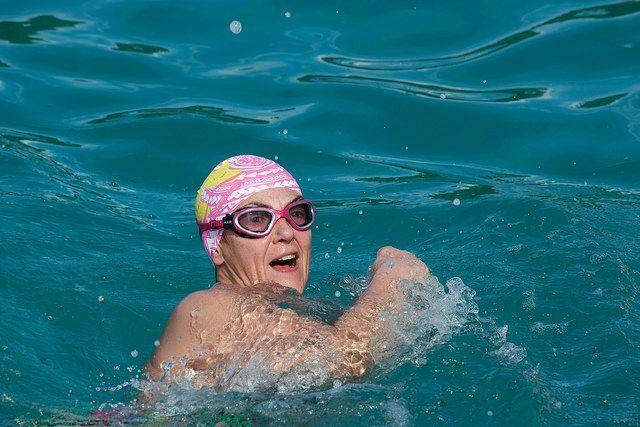 Swimming in cold waters is a great challenge for me as I have a disability in my right shoulder, I had a very nasty accident in 2001, I badly broke my right humerus and very badly damaged all my main nerves, they gave me 50 per cent chance of ever using my arm again. The cold affects the nerves in my damaged arm so I usually end up swimming with one arm sometimes. My love for swimming in open water is stronger than my disability. I hope to swim more in Chile and surrounding waters and to participate in some more competitions and eventually do the Beagle Channel, this is my goal. 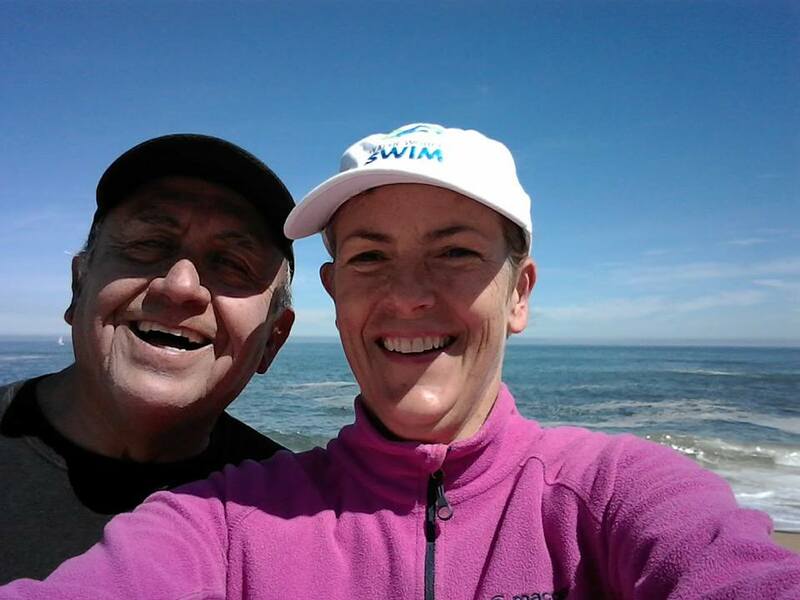 I would love to give advice and encouragement to new open water swimmers here in Chile and the world. It is my passion. 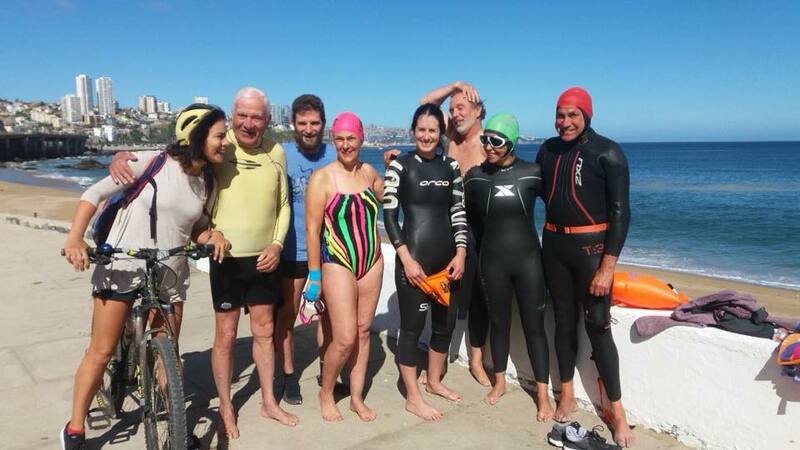 I feel very privileged to swim with the group in Viña, they've been very supportive of me and very welcoming. 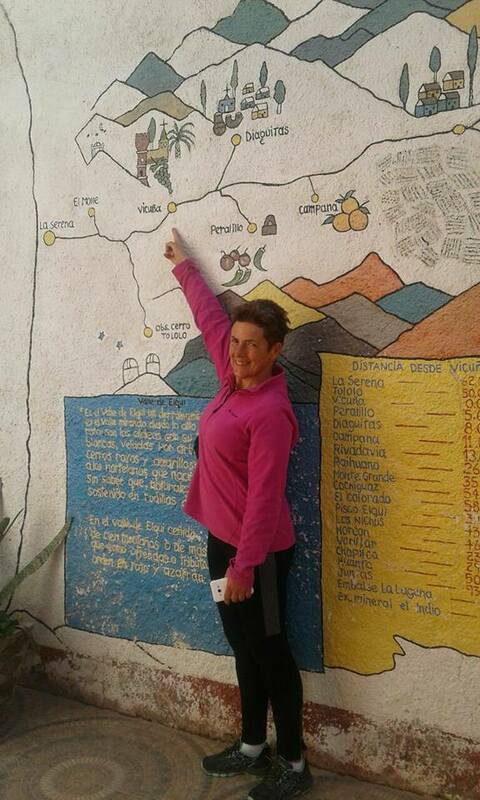 I look forward to working with Coach Pedro and WWS coaches and learning new coaching techniques." "I have a friend who lives in Santiago and she just had a baby, she asked me to come over and help her. She is starting up her own business here which is nice because she is doing well now and I have the opportunity to take care of the baby and to learn the spanish language.. I didn't know too much before I came here but I did do a little bit of research contacting Coach Pedro from Water World Swim and looking at the websites. There's a couple of international swims I would like to do eventually like Alcatraz, Samoa Apolima strait, which I want to do in 2019, that's a 22.3km! to name but a few. 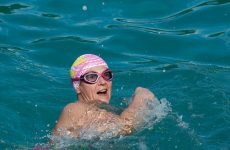 I want to go further and swim stronger and keep being challenged within the sport and introduce like minded people into this amazing sport." 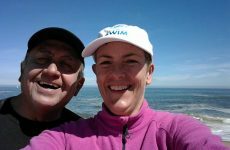 As a coach, what do you always advice to people that are making the transition from pool or start swimming in open waters? "I was very privileged to coach 3 special olympians. 3 young men who have intellectual disabilities. I used to swim in open water with them which was sometimes quite hard-going but good fun. Out of the three, the 2 now have progressed to long-distance swimming on their own, one of them has gigantism, low social IQ and the other young man was born with a portion of his frontal lobe not connecting to his left and right hemisphere of his brain. There life's changed, physically and socially with the benefits of swimming in open water. Open water swimming is fun and so rewarding, baby steps, don't rush it, take your time and have fun. When you start competitively swimming, just relax and enjoy, it is not about the time or placing you get, it's about the enjoyment of finishing the swim. Breathe! 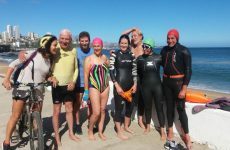 Open Water swimming brings so many like-minded people together from all over the world and all walks of life."